With less than two weeks until the biggest race in the South West calendar commences, Mid Devon CC are proud to announce the line up of top level domestic riders that have entered the 3 stage event. 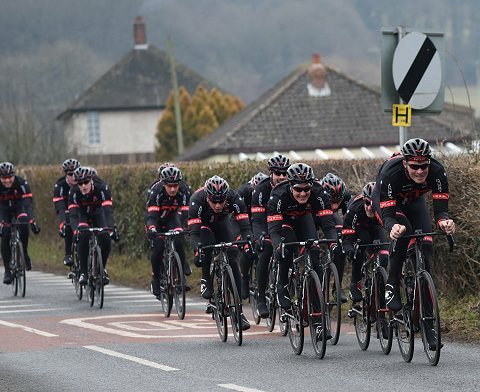 This year brings the race back up to the â€œNational Aâ€ standard achieved in the 1980s when it was the biggest in England â€“ it was in the years when there was no Tour of Britain. 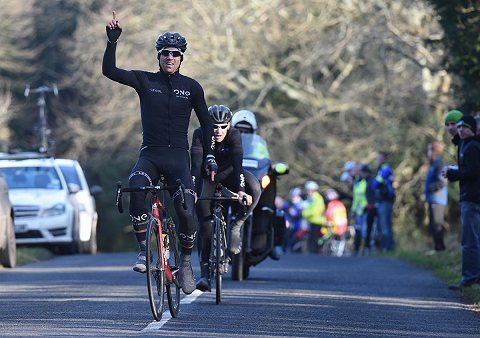 The weekend of 28th/29th March will see many of the top UCI/Elite teams do battle in Devon ahead of the first event in the Premier calendar the following week in Chorley. On Saturday morning Stage 1 is on the well tried and tested Avonwick 10 mile circuit. Its rolling 55 miles could result in any of the following possibilities â€“ a lone breakaway (as in James Lewis NTFO 2014); small groups separated by a few seconds or a mass bunch sprint for the line. 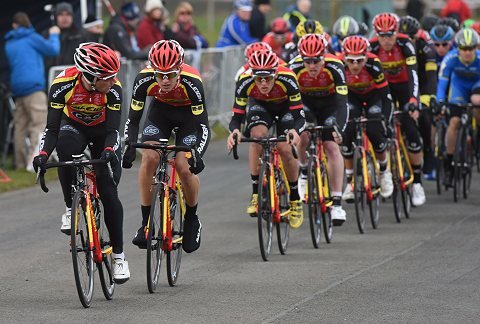 In the afternoon the action moves to the closed circuit Torbay Velopark for 75 minutes of all out Crit racing. Sundayâ€™s stage at Bovey Tracey will certainly be an exciting and hilly finale. The race will cover 3 laps from the HQ onto the Teign Valley circuit. The main move could well come in the last 4 miles as the race climbs up to the top of Haytor and the same finish line as for the 2013 Tour of Britain. Other riders of interest are Will Bjergfelt and Dan Fleeman from SportGrub KUOTA. Will has been going well so far this season and Dan is an ex World Tour Pro who enjoys challenging parcours. Saturday sees a series of Support races at Torbays Velopark for Women, Youths and lower category riders which will take place before Stage 2 of the main race. These are promoted by Cycle Sport South Hams. The Velopark provides an excellent opportunity to view the racing and supporters are encouraged to come along and be part of a fantastic weekend. Sundays stage will provide some excellent vantage points obviously the Haytor summit finish as well as the â€œPrimesâ€ in Bovey Tracey itself. With so many strong squads and such a challenging route the permutations are endless. Looking at the entries you would think that the overall winner would have to come from one of the top 4 teams. It will be an epic race, of that there is no doubt!